Our next show... February 7 at the Garage, w/Casey James Prestwood! 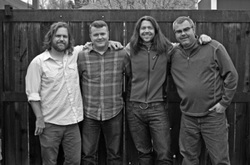 New album review of Honey Pine's self titled release by the Southern Utah Independent here! Click here to read the full article in the City Weekly on Honey Pine. POSTED // APRIL 3,2014 -It’s obvious when something just clicks, be it two people getting along like a house on fire, a delicious meal coming together with only a few simple ingredients or a conversation among friends progressing organically. For the three founding members of local alt-country/rock band Honey Pine, their songwriting chemistry was so effortless that it persisted even through a decade-long hiatus from making music. 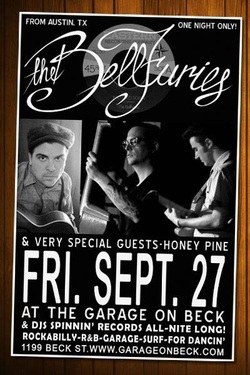 Honey Pine is happy to announce a new show on the 27th of September at the Garage on Beck... Opening for the Bellfuries of Austin TX. Its going to be a night of great music, chicken and waffles! Check out www.garageonbeck.com for more details. Dan and Bucky working out song parts and hand claps on the new album. 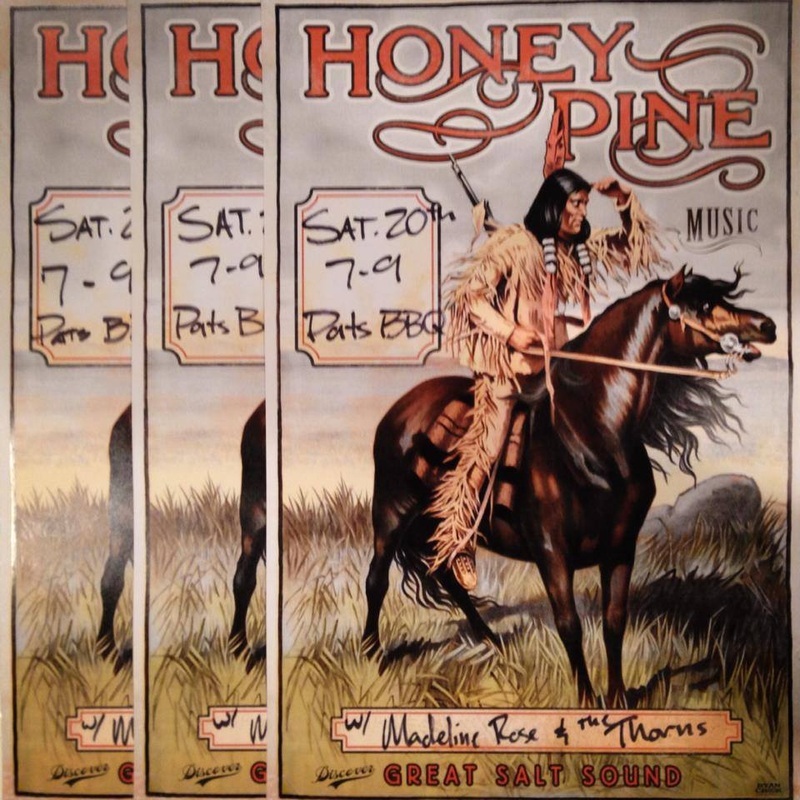 Honey Pine consists of four members... Bucky Cash on drums, Jason Rock on bass guitar, Dan Salini on lead guitar, fiddle and pedal steel and Matt Hansen on Guitar. Working on the new HP album! After selling out of our first batch of HP shirts and stickers, we are proud to announce that a second batch of shirts and stickers are on their way! Get ready for some serious SLC street cred!